If you know my writing, it might surprise you that I go in for–devour, even– picturesque mysteries. When people visit our house for the first time, they seem disappointed not to find pitchforks and pole arms on the walls, Bowie knives on the kitchen island, or a guillotine in the dining room. While it’s true that I require annual doses of vintage Cormac McCarthy, Jim Thompson, and Charlie Huston, a girl can’t live on brute-force fiction alone, no matter how beautifully written it is. I have a deep and abiding fondness for Brit-style, investigative mysteries. From Lynley to Prime Suspect to Inspector Morse to Jack Frost to Dalgliesh to Poirot–I love them all. (I wish I could say that I enjoy all of Agatha Christie’s work, but I find that she often holds back some bit of information so that the mystery can’t really be solved by the reader. That bugs me.) It’s not so much that the stories are formulaic; it’s that they are usually comfortably paced and have a very strong sense of setting or place. And because they’re generally set in a series, one can form strong attachments to individual characters. Opening a novel by a writer one has never read before is a little like going on a first date. As a reviewer, I learned to be the aggressor. A book had to prove to me that it was worth my time in the first twenty-five pages, or I would spend the next few hours looking at my watch. Now that I’m no longer reviewing, I have the time to be more patient, but I still hope that I’ll be seduced–and quickly. 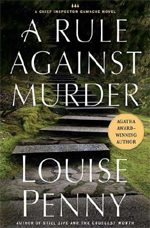 After I began to read Louise Penny’s fourth novel, A Rule Against Murder, I couldn’t stop. 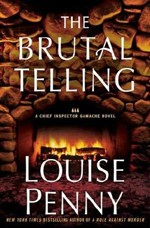 I read it in a weekend, submerging myself in the world of Penny’s series character, Canadian Chief Inspector Armand Gamache, who, even while on a brief anniversary trip with his wife, Reine-Marie, can’t escape murder. Murder blots his scenery, whether it’s an arm’s length away, or in a charming, distant village. In the case of A Rule Against Murder, the crime happens at the inn where he and his wife are celebrating their anniversary. The case becomes a sort of country-house murder, with all of the suspects at hand. It’s an intimate story. Penny does intimacy awfully well. Her novels–at least the later ones that I’ve read–are written in a close third person that floats effortlessly from one character to another. There are no awkward white spaces. One person is observed, then becomes the observer. The tone doesn’t change, just the characters’ points of view. We know their likes and prejudices as well as their self-deceptions. This is particularly true of Gamache. He’s fair-minded, intelligent, and professionally demanding. Also thoughtful and compassionate–something his colleagues don’t understand and often mistake for weakness. A native of Quebec, he’s acutely aware of Canadian politics, and the centuries-old struggle between the English and the French in Canada. (Penny explores that conflict in detail in her latest, Bury Your Dead.) He’s always the steady center of everyone’s world. Most of all, Gamache is kind. He works at being kind, and he encourages genuine kindness in the people around him. But he’s kind without sentimentality. It’s a kindness that feels real, the type of kindness that I wish I could embrace every day. 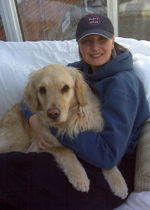 With A Rule Against Murder, Penny was well into the Gamache series, and I was far behind. But I didn’t feel like I’d missed critical information from the three earlier novels. That can be a problem with a series and series’ characters; it can be confusing to jump right into the middle of five or six books. But, like P.D. James, Penny is graceful about filling in the necessary blanks without dragging down the current story. 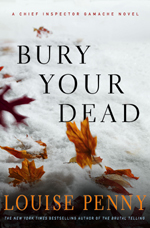 So, I read Penny’s three most recent novels in order: A Rule Against Murder, The Brutal Telling, and Bury Your Dead. Now I’m reading Still Life, the first novel in the series of six. Still Life is also the introduction to Three Pines, the once-Loyalist village (invented) where most of the series occurs. Three Pines is within easy driving distance of Quebec, and has a business district consisting of a bookstore, a tiny grocery, and a bistro. Most of the houses are arranged on the other three sides of the village green, and there’s a massive Victorian house looming from the hillside that may or may not be haunted. (Sounds remarkably similar to Miss Marple’s St. Mary Meade. I like that.) The fact that the village is so small gives Penny’s characters the freedom to be expansive. Life moves slowly, even when there’s a murder. The characters are an ensemble cast, and Penny focuses tightly on different ones with each novel. I could go on to describe the books’ plots more fully, but it will be much more enjoyable for you to discover them yourself. It’s really Penny’s skilled writing that I’m crazy for. Her pacing moves the story forward without unnecessary detours/digressions (okay, the bow-hunting disquisitions early in Still Life made me a little grumpy). I’m never left wondering, “how did we get here?” There are many moments of dark, nerve-wracking suspense. I’m thinking particularly of Bury Your Dead, whose last thirty or so pages had my heart doing that pounding thing–And then I cried a little. Early in every writer’s career, some sensible teacher will say (one hopes), “Don’t give us too much description. Leave much to the reader’s imagination.” I think this is one area in which I hope to emulate Penny. Her descriptions are complete, yet rarely overdone or superfluous. She states what the characters look like, plainly and with straightforward prose. She notes the odd little objects that make up a life, or death. Clothes, hairstyles, scent. As a reader, it’s helpful to know those things. As a writer, it’s hard to judge when enough is enough. I do go on, don’t I? I warned you that I had a pretty serious writer girl-crush! Have you ever felt like you were able to take away something important from a work of fiction? Here’s the lesson that Gamache’s mentor gave him when he was a young policeman. He was to remember to always say these things when they needed to be said. I memorized them, then wrote them down. I wonder if Penny came up with the list herself, or if they are a variation on something someone shared with her. Simple, aren’t they? Gamache uses the phrases like seasoning, throughout his work and daily life. They always move things forward, and keep his ego in check. Moving forward with humility. That’s a good thing, yes? Exercise: 20 minutes Kinect. Exercise is hard, says Barbie. I love Louise Penny’s books. They are so good it makes you feel you are in Three Pines and the way she describes the food there makes you want try the recipes yourself. I love the way you get into the characters and they seem like a friend you have known a long time. Even she has been on my TBR list for a long time, reading this made me anxious to buy one of her books. Thanks, Laura. Oh, do start at the beginning with Still Life. If you start anywhere else in the series–as I did because I was reading for a competition–you’ll wish you had. Enjoy!